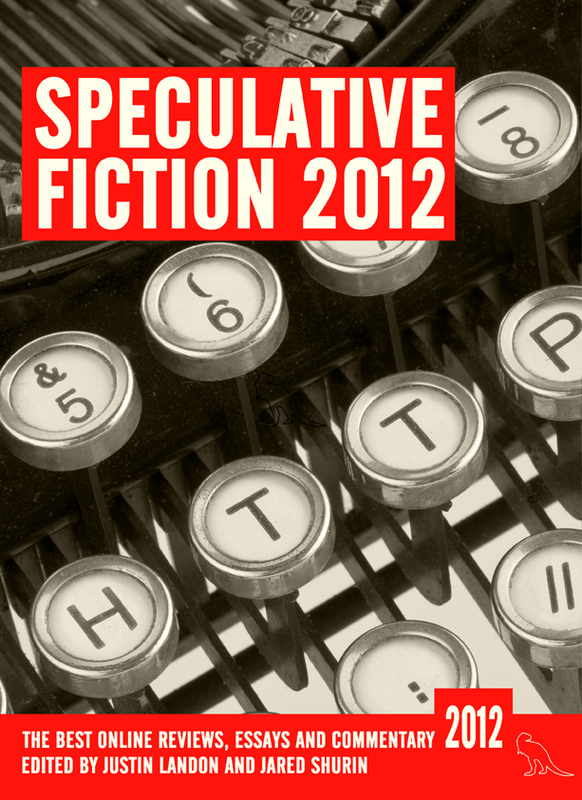 Speculative Fiction: The Best Online Reviews, Essays and Commentary is a collection that celebrates the best in online Science Fiction and Fantasy non-fiction – the top book reviews, essays and commentary. The goal is to have a collection published annually, rotating editors each year. We are proud to say that The Book Smugglers will be the editors of the 2013 edition! The first volume, edited by bloggers Justin Landon (Staffer’s Musings – US) and Jared Shurin (Pornokitsch – UK), collects over fifty AWESOME pieces from science fiction and fantasy’s top authors, bloggers and critics (including an essay from yours truly) and is out NOW. All profits from sales of Speculative Fiction will be donated to Room to Read. The 2012 edition also includes an afterword written by us in which we talk about what we will be looking for as editors of the 2013 edition. We will strive to strike a balance between essential cyclical conversations (e.g those about diversity and representation and critical writing in SFF) and the New and Shiny catchprases or topics (e.g. Grimdark) that steal the stage in 2013. We will do our best to capture a broad swath of the many fandoms and subcategories that fall under the SFF umbrella, including (but not limited to) reviews of novels/novellas/short stories, television shows, gaming, art (professional and fan), movie talk, as well as essays about the different aspects of SFF overall. We will acknowledge the fact that SFF conversations are also happening in forums that are not SFF-exclusive (e.g. at locations very much like our own blog). We will maintain the gender balance of contributors. More importantly, we will attempt to maintain the gender balance of the content itself. We will solicit voices that cover different age ranges of SFF fiction – because the Young Adult and Middle Grade categories are exploding with books and discussions – as well as voices from often dismissed subgenres like Urban Fantasy and Romantic SFF. We’ll also do our very best to include international voices, beyond the United States and United Kingdom. With all that in mind, we are happy to announce that we are open for 2013 submissions! We are looking for non-fiction reviews and essays (“works”) specific to some aspect of Speculative Fiction (science fiction, fantasy, horror, and everything and anything that falls under the broad genre umbrella), including but not limited to: books, movies, tv shows, games, comics, conventions, genre trends, and so on! You may submit your own work or someone else’s. You’re gonna get so sick of me submitting everything Liz Bourke writes. How exciting! What a great list of goals! I can’t wait to see this.